You swore it wouldn’t, couldn’t happen again. You asked all the questions that clearly explained the compensation package, the on-call schedule and the day to day responsibilities. This was the job you were excited to be in for the long haul. Despite your best efforts and initial optimism, here you are again, disillusioned with your current opportunity. As a savvy Practitioner, you vetted out the current hospital’s financials. So, where was the disconnect? All too often, questions that can really determine if this is the right fit get overlooked; the ones that reveal the true nature of the corporate culture, its politics, and the actual strategic plan of your future employer. These are the questions you need to ask at the job interview to establish accurate expectations. Why do you have this opening? Is someone retiring? Did someone leave? Has someone been promoted out of this role? Is this for expansion? These questions provide you insight to turnover, gauge the potential for advancement, determines growth and can be an indicator for your own imprint. This question is incredibly powerful because it permits the interviewer to tell you why the organization is so extraordinary. In many organizations, it’s the culture of the workplace and the benefits that drive employee retention. Neither seem to get posted on a careers page – and you ought to know what those are. What Is the organization’s approach to work-life balance? The concept of work/life balance may not be something given much consideration in the medical and healthcare industry, but it should. Burnout for physicians and nurses has reached epidemic proportions, putting patients at risk. This is your opportunity to learn what this organization is doing to help alleviate stressors. What type of systems do you have in place to handle the volume of patients I can expect to see daily? First and foremost, take the time to figure out what number of patients you are comfortable handling and what number of patients can be seen while maintaining medical accuracy. This is a conversation starter to help you get an overall feel for the day-to-day and the processes the organization has in place. Follow-up questions could be about how they leverage technology, their EMR system, daily admin tasks, and ancillary staff coverage, et cetera. What traits would make someone a successful match in for this role? Listen for the adjectives from the interviewer. Do they need a TEAM PLAYER? Do they need a LEADER? Do they need someone SELF-MANAGEABLE? Do they need someone PASSIONATE about the patient caseload? Hearing these ‘buzz words’ will help you gauge whether you can meet expectations or if these are things you want to strive towards. How can I specifically help this institution meet their vision? Are they hoping that you will bring in more volume? Do they want you to ‘fix’ some of the processes they already have in place? Are you expected to oversee some staff? Evaluate if you could make a valuable contribution to the organization and on the flip side, see if this employer can help you achieve your goals as a doctor. Does the role include professional development? Well crafted and delivered continuing professional development is important because it delivers benefits to you and your profession. Do they offer coursework, promote speaking and conference attendance, and teaching/mentoring opportunities? What types of leadership opportunities will be available to me? Think first about your career objectives. Will you be able to lead any initiatives down the road? Will you mentor others or oversee staff? What is the process from becoming a staff member to a Director? If any of these are important to your personal and/or professional growth, you need to know when and if its available to you. The ongoing demand for skilled doctors and advanced practice professionals offers candidates an increased amount of leverage in salary negotiations. Getting answers from the questions above will help calculate if the compensation offered is for solid reasons or if its ‘hazard pay’ for a volatile job. According to the Bureau of Labor Statistics, the estimated job outlook for physicians for the 2016-2026 period is 13 percent and for Nurse Practitioners it’s 26 percent beating out all other professions in terms of growth. You can and should be selective in which job you ultimately choose. With over 20 years of experience, at MedSource Consultants we pride ourselves on being top recruiters within the medical field and can help you customize interview questions that can help assess which job is the best fit. 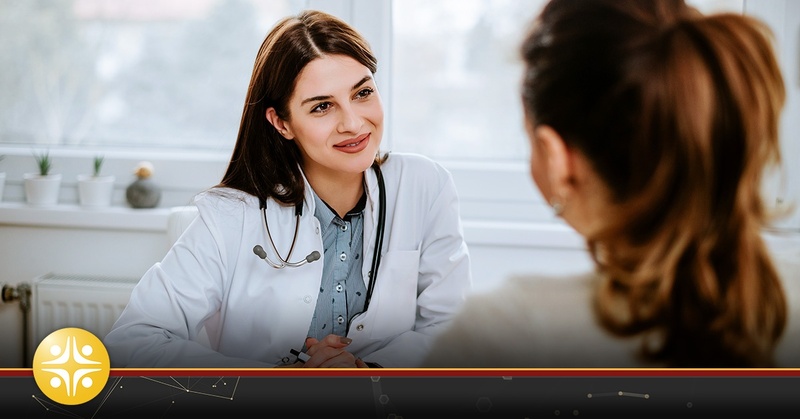 Connect with one of our leading healthcare staffing specialists to find your next physician job today!